Chromebook Forum : Google Chromebook Forums > Chromebook Technical Help > Chrome OS Software Forum > Access restricted to my own files?? Access restricted to my own files?? I have recently tried to delete lots of audio files to free up space from my limited storage. To my astonishment, there was no 'delete' option. Try as I may, it is just impossible, and I see such files (for instance, recordings I made myself, or general music) are all labelled as 'access restricted'. I can copy the files to an SD card, to my Google drive and so on, but the system just won't let me delete them! Why, it won't even allow me to create a new folder within 'audio' simply to organise the files better!! "Files in Recent, Images, Videos and Audio folders are viewable only and can't be deleted directly in these folders". My astonishment has only increased. Let's not discuss the 'why' in the question for now. I assume there is a way to delete the files 'indirectly', 'outside the folders'. Will anyone let me know how? Thank you so much. 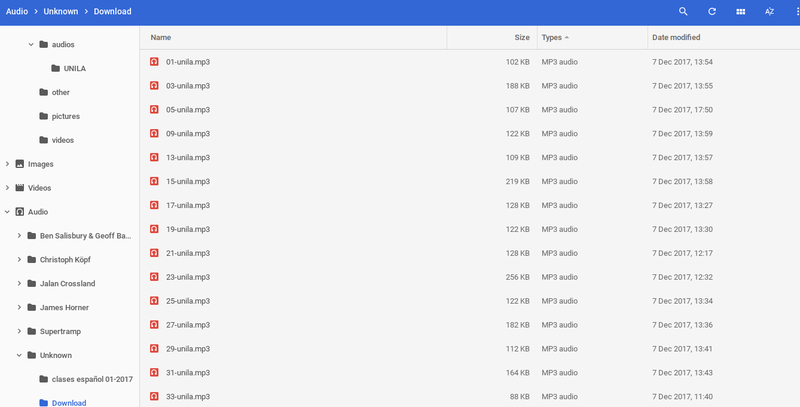 Are these files in the Cloud, Google Drive, or just in your DOWNLOADs???? If just in DOWNLOADS, you may consider doing a POWERWASH, but move anything that you do not want to lose into Google Drive, by dragging them over into it. Any files in Downloads will be gone. hello, have you had any breakthrough on this? i'm having the same issue. i did some editing of a video using a new program. i'm able to copy to my google drive or sd card buti can't delete the original from my videos file. Just open up a terminal and delete them that way. "rm -f *" will delete every file in a directory, replace * with a filename if you just want to delete a single file. A simple Google search "delete files using terminal ChromeBook" will give you better instructions if you do not know how to use CLI, Command Line Interface. FYI, you should as you are using a Linux system and it allows you to do many tasks that you can't in the UI. Including installing Linux applications, must be DEV.